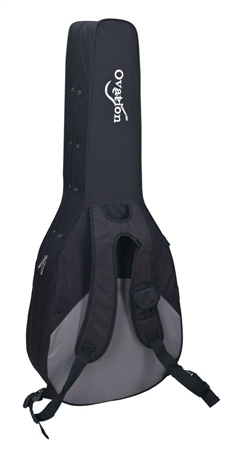 Shop Ovation 8358 Zero Gravity Mid/Deep Body Acoustic Guitar Case from AMS and enjoy Fast & Free Shipping. Specifically made to fit Ovation and Applause roundbacks. Offer support in any travel situation. Durable, roadworthy. This Zero Gravity case by Ovation offers a durable nylon exterior with a tough foam core and backpack style straps for easy transport. Accommodates mid-deep bodied guitars. Well worth the money! I love it!!! This is an awesome product. Very happy consumer! I was in need of a gigable acoustic in a hurry. I ordered on Friday, guitar arrived on Saturday, out of the box setup was decent, gigged with it that night ! Thanks Ams!!! I have an Ovation Celebrity guitar, and therefore I was looking for a guitar case to fit this particular guitar. I had formerly used a regular guitar gig bag which did not accommodate the special shape of an Ovation guitar. I saw this Ovation Zero gravity mid/deep body acoustic guitar case and decided to go ahead and give it a try. It fits my ovation guitar like a glove and it's exactly what I was looking for both in quality, portability and durability. It's lightweight yet sturdy enough and has a very solid built that will certainly last me for years to come. 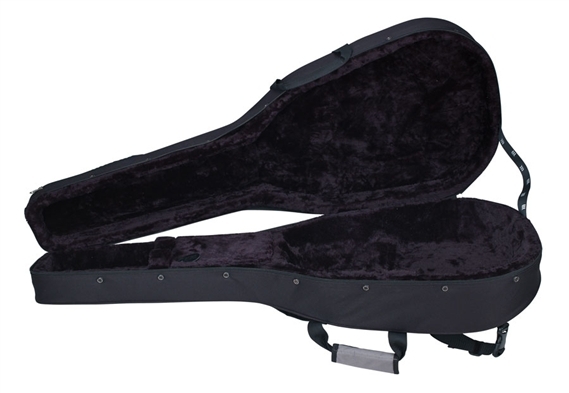 I highly recommend this guitar case! This is my 2nd one. When they say zero gravity they mean it.This case is so light but real sturdy and is top quality. I have 3 Ovations, 1 in a hard case & 2 in these. I never even take the hard case out anymore. For the price you can't turn it down. Far more than I expected, WE'LL WORTH THE MONEY. I honestly expected a traditional gig bag kind of case, but this thing is built like a tank with tons of external storage. Highly recommended. This case is bigger on the exterior than expected. Provides as much protection as my hard case without the bulk. Wish the back pack straps were removable.